2007 live album featuring Canadian and international artists reinterpreting the magical songs of Paul Simon. 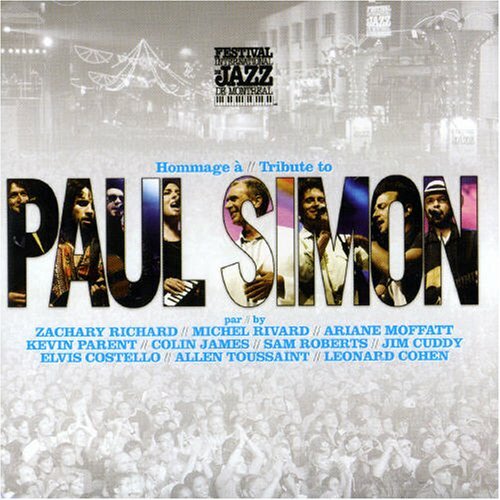 Recorded live at the Montreal Int'l Jazz Festival in 2006, this collection features Simon & Garfunkle and solo Paul Simon classics performed by Elvis Costello, Holly Cole, Jamie Cullum, Colin James, Zachary Richard, Allen Toussaint and many others. 12 tracks. Du Reve. If you have any questions about this product by Du Reve Canada, contact us by completing and submitting the form below. If you are looking for a specif part number, please include it with your message.